The 2019 season is coming soon and we are ALL IN. 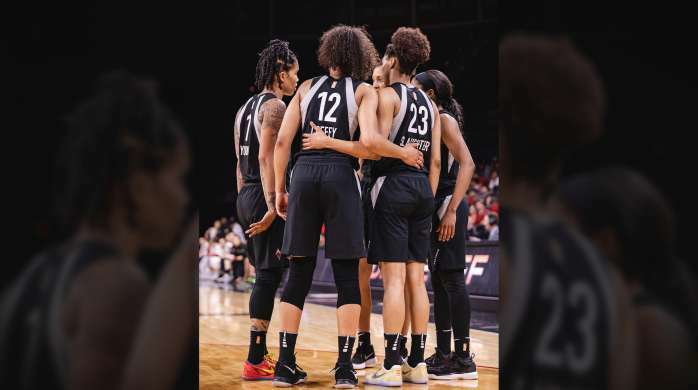 The Las Vegas Aces will start their season opener on May 26 against Los Angeles at the Mandalay Bay Event Center. Check back for more updates soon. 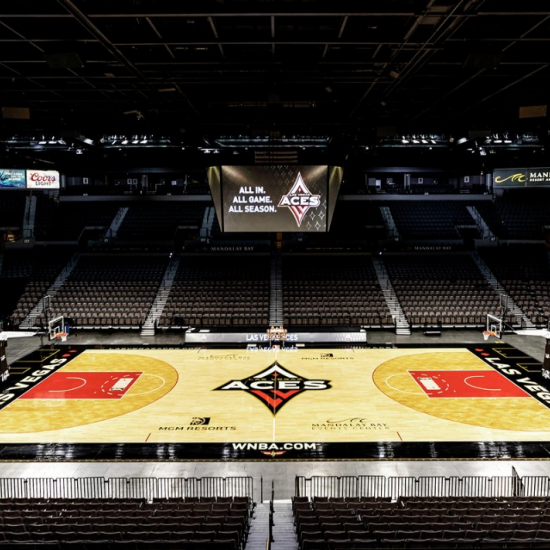 Purchase season tickets and get ALL IN this summer. 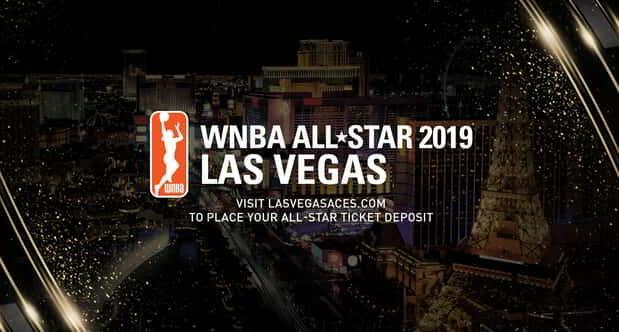 Tickets start at just $289.00 per seat and include exclusive member-only events and news. Flash Seats is an ID-based, digital ticketing system that allows you to enter an event with any form of convenient digital ID, such as a credit/debit card or a Mobile ID through the Flash Seats mobile app. 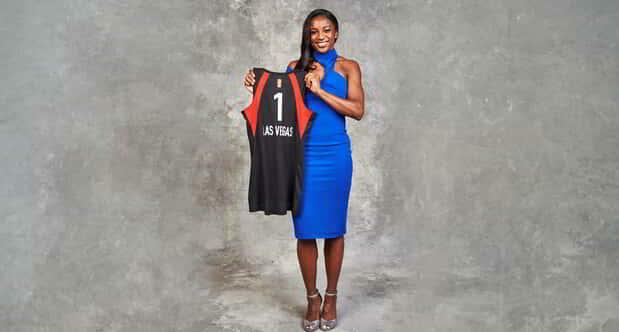 With the #1 overall pick in the 2019 WNBA Draft, the Las Vegas Aces has selected Jackie Young, a guard from Notre Dame. 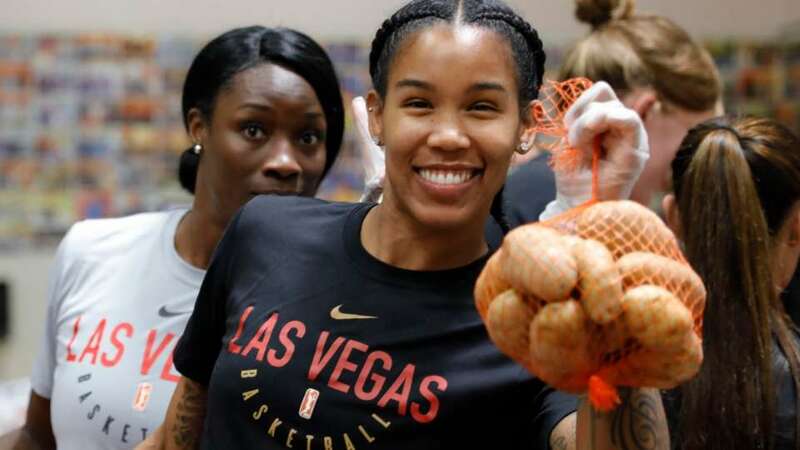 A'ja and Vickie of the Las Vegas Aces at Three Square Food Bank. 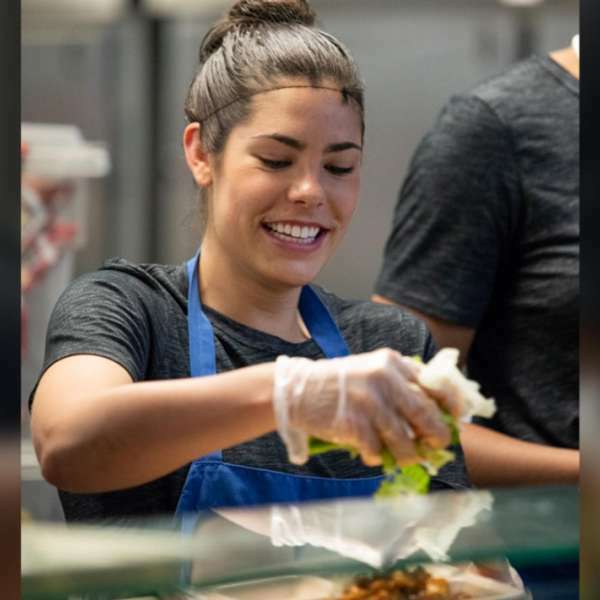 Kelsey Bone and the Las Vegas Aces at Las Vegas Rescue Mission. Moriah Jefferson of the Las Vegas Aces at Three Square Food Bank. 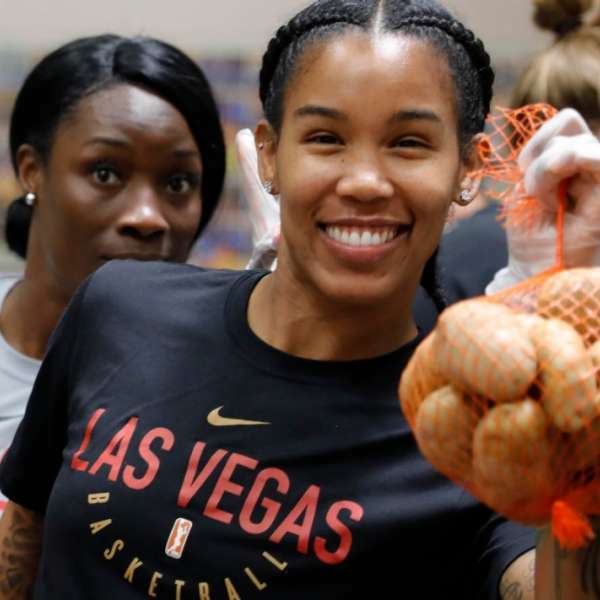 Tamera Young of the Las Vegas Aces at Three Square Food Bank. Team photo of the Las Vegas Aces at Three Square Food Bank. 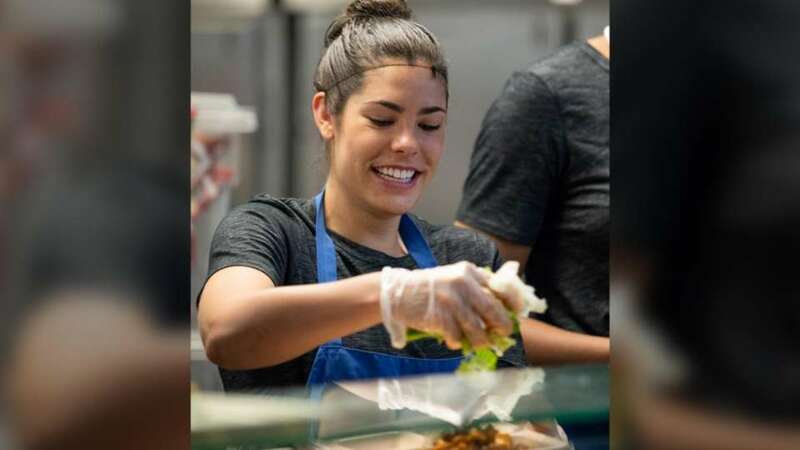 Kelsey Plum of the Las Vegas Aces at Las Vegas Rescue Mission. 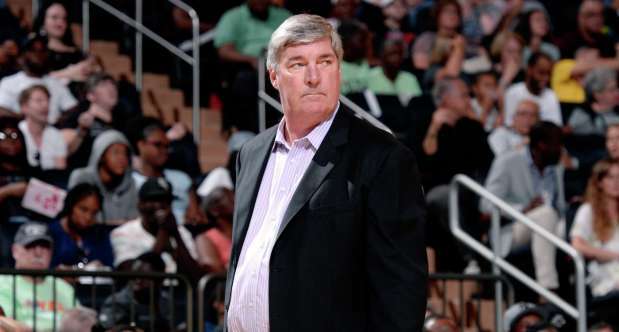 Bill Laimbeer, a two-time WNBA Coach of the Year and three-time WNBA Champion is the President of Basketball Operations and Head Coach of the Las Vegas team. From the front desk, begin walking through the casino floor towards Citizens Kitchen + Bar. Walk past KUMI and towards Stripsteak. Follow the walkway around past Starbucks and take the first right down the long hallway towards the Mandalay Bay Events Center Entrance. From the parking garage, walk straight past LIGHT nightclub. Turn to the right at Lupo and walk past Citizens Kitchen + Bar, and past KUMI and towards Stripsteak. Follow the walkway around past Starbucks and take the first right down the long hallway towards the Mandalay Bay Events Center Entrance.